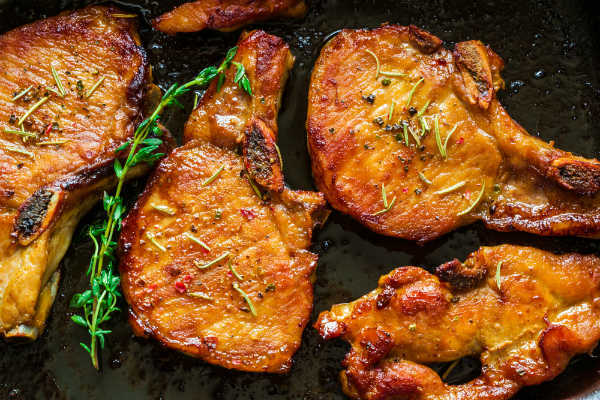 If you are looking to spice it up in the kitchen department, this pork chop recipe will certainly do just that! With a marinade that goes together in minutes and a brief cook time this is a quick way to have a flavorful meal on a weekday. Serve with Cucumber Yogurt Sauce.